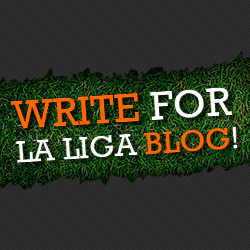 La Liga Blog is a newly created Spanish football blog founded in March, 2011. The site is written and maintained by UK based student Andy Macfarlane who fell in love with Spanish football after spending the year in Andalucia following the trials and tribulations of his local Primera Division club Malaga CF. To get in touch with us to discuss advertising, link exchanges etc email one of the two addresses listed below or alternatively use our ‘Contact us’ page found at the top of the site.